Breath a Bit of the Tropics! 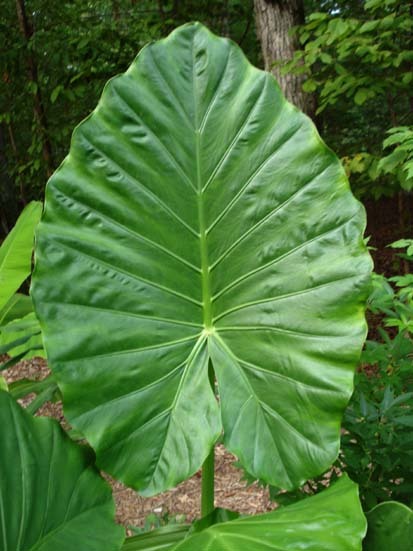 The mother plant of ours had leaf blades 4 feet long and the whole plant was 15 feet in diameter. If you keep this going in a bright window over the winter, you might approximate this measurement, with a lot of humus, water and filtered light.. If you prefer the more carefree approach, you can let it go dormat in the basement and start it up again in the spring. Great for the pool or patio.